It’s hard to describe how or why I ended up reaching a place where I had to admit to myself that I was completely and utterly hooked on Finnish folk metal. I suspect it was a gradual awakening. First it was by encountering the folksy metal and rock music of bands like Scotland’s Alestorm and Ukraine’s Los Colorados. I suspect that Eurovision also had a bit to answer for in opening my Aussie eyes to the wonder of Europeans in elaborate costumes performing outlandish songs. And then, one glorious day, I stumbled across the glorious sounds of Finland’s Ensiferum. I don’t know quite how to describe them – battle metal seems to be the term I hear most often. 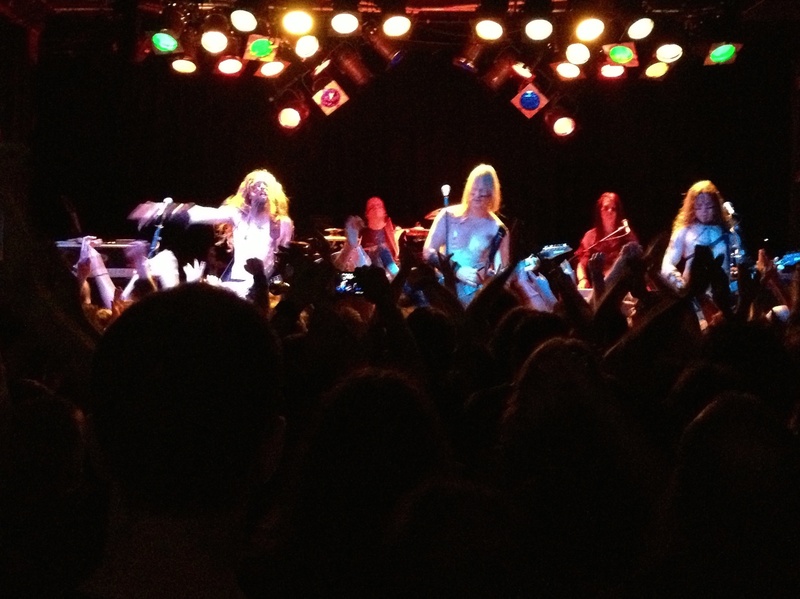 And when I saw them perform live in concert in March 2013 in Melbourne there were a lot of people in Viking costumes. One guy looked like he’d stepped straight of a Scandinavian fairy tale, all tall and blonde and dressed in what my untrained eye could only guess was some sort of traditional Northern European folk outfit – not the sort of guy one would normally encounter in Melbourne, Australia. ‘Lai Lai Hei’ was one of the first Ensiferum songs I heard that I absolutely loved. Of course, to be able to sing along means needing to get a bit of a grip of Finnish. Somehow the other concert goers on the night had it worked out – similar to the other Rammstein fans singing fluent German when I saw them (in 2001 and 2011) – but for this English-speaking Aussie, lyrics like “Hän katsoi maan reunalta tähteä putoavaa / Nyt kauniit kasvot neitosen peittää karu maa”* aren’t the easiest to get my head around. That doesn’t stop me from trying to sing along, of course. 16 March 2013 – Me, antisocially staring into the dark abyss of my iPhone waiting for Ensiferum to walk onstage. 16 March 2013. Ensiferum. St Kilda, Melbourne, Australia. Photo taken on an iPhone. Posted in music and tagged concert, Ensiferum, Finnish music, folk metal, music, spotify on November 17, 2014 by Fiona.